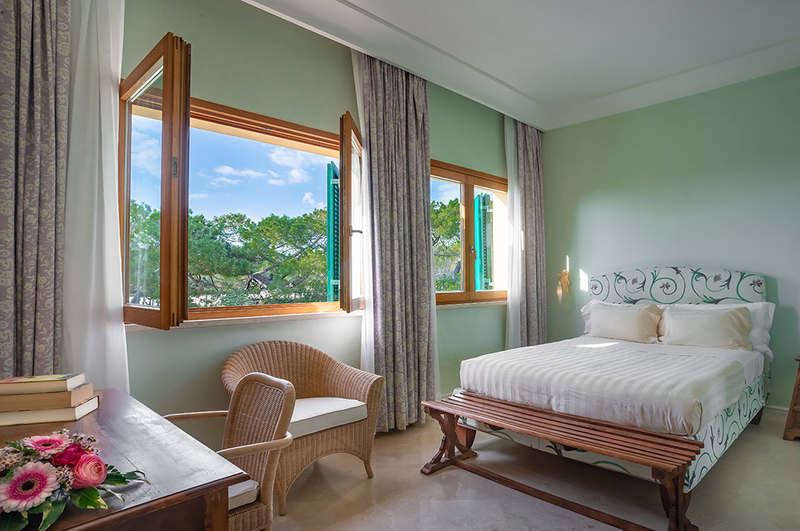 In all 117 rooms of the Tombolo Talasso Resort, in the style of Natural Lohas - Lifestyle of Health & Sustainability, you can enjoy a pleasantly vintage atmosphere, enjoy the feeling of well-being and relaxation and let yourself be pampered by our staff. 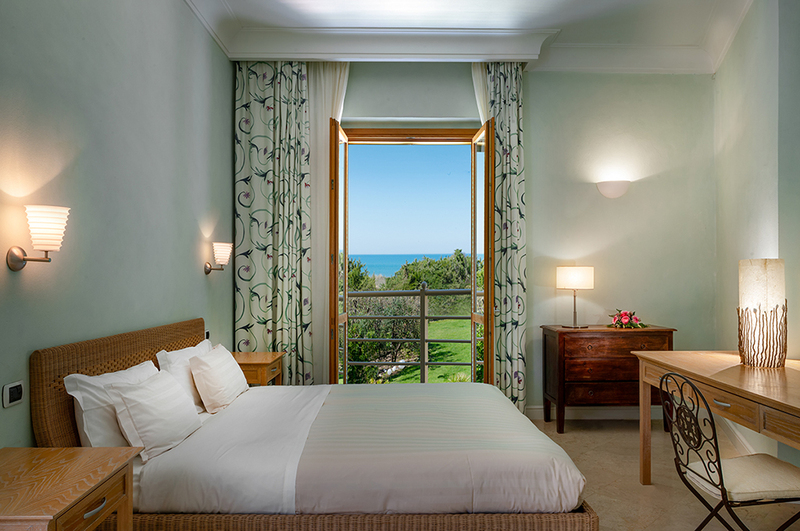 The rooms can be either Park Side or Sea Side and are equipped with a minibar, a flat-screen TV, a telephone, a hairdryer, a safe and a sophisticated technical apparatus that allows the guest to adjust the internal temperature of the room. 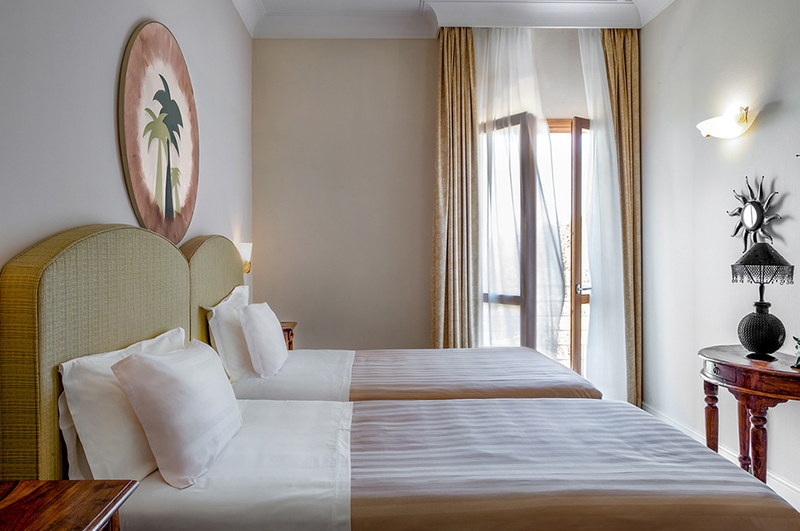 But not only that, our guests will have an 'à la carte' pillow menu to ensure maximum comfort during rest and blue wave lamps against stress and jet lag. 16 sqm of intimacy to dedicate to yourself where you can rediscover your psychophysical wellbeing. 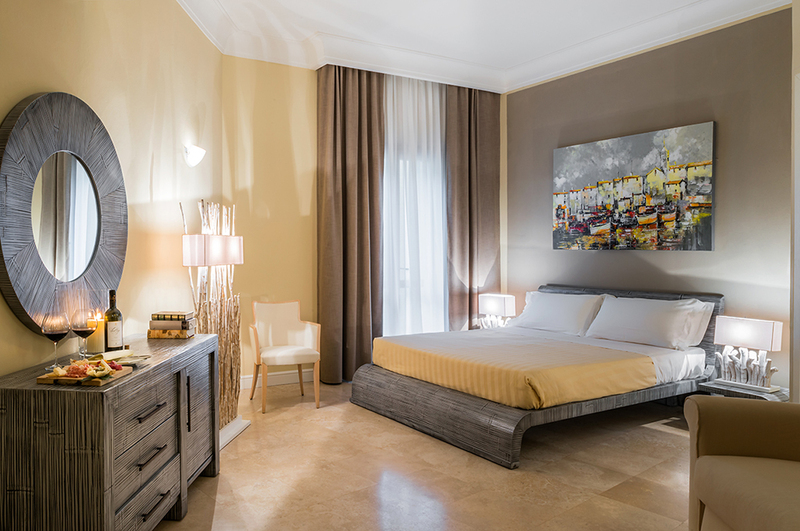 Refuge for two carefully furnished, designed to make your stay an oasis of relaxation (16 mq). 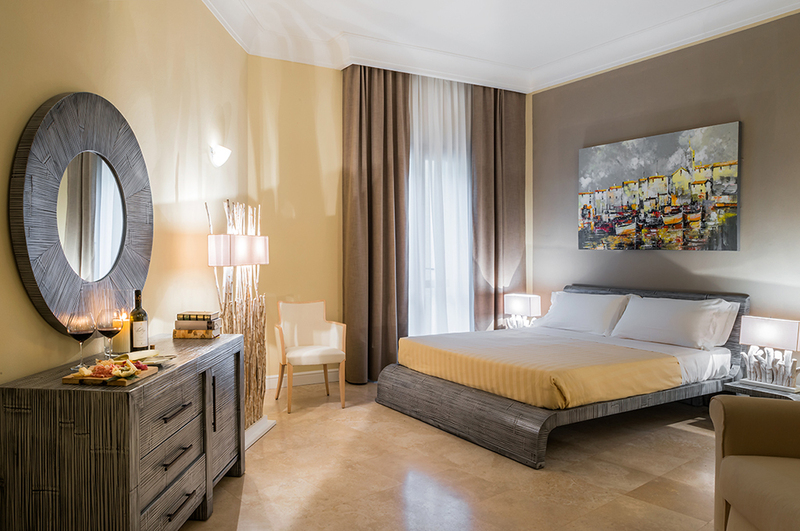 Finely furnished with natural colors that best match the sea, it is the ideal solution for a business vacation or a family vacation. Every detail of our Junior Suite is designed to create an intimate and private atmosphere to enjoy with your partner or family. 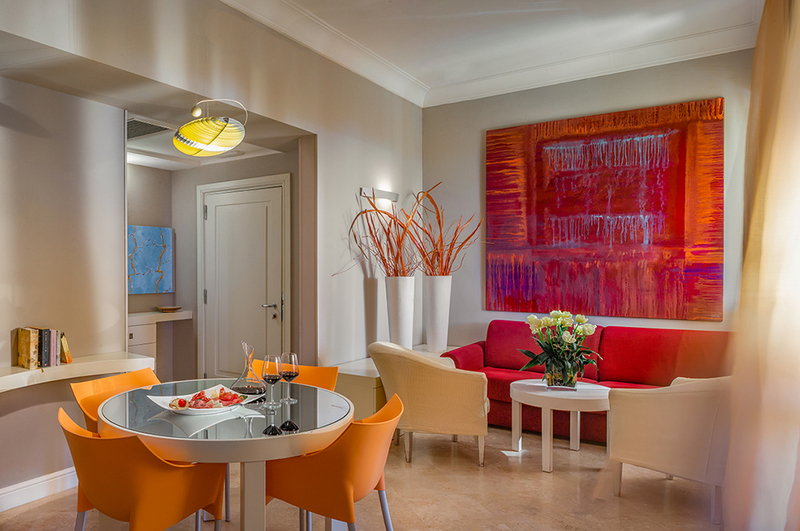 Our suites are ready to welcome you with 56 sqm of space and a covered terrace ideal for exciting aperitifs with a view.